Unlocked iPhones are not generally available in the market. The process of unlocking an iPhone usually is self-practiced after the iPhone is purchased from a carrier. 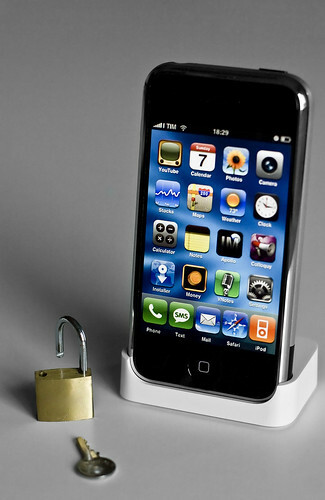 Once the phone is purchased, any tech-savvy person can unlock the iPhone with a few simple steps. Why does the majority of the people unlock their phones? This question has a very simple answer to it. Users who are fond of iPhones wish to have full control over their phones. However whether the phone is bought from a carrier or is purchased directly from the manufacturing company, the phone needs to be factory unlocked and carrier unlocked in order to be used to its full extent. Once the iPhone is unlocked, the user has complete access to all its internal files, operating system files and customization files. A user can for example, change the name of the carrier on their mobile phones and can also alter the colors on the main bar of the iPhone. These features are not present while a person is using a locked one since iPhones are built that way from the factory so that users do not alter or change the operating system files which can cause damage to their phones. With an unlocked version of the phone, users can alter the look and feel of the iPhone which is not possible if the phone is not factory unlocked. This means that the company provides only limited access to the user in terms of look such as wallpapers, screen layouts, connectivity, etc. A changed look can be achieved once the phone is unlocked and new options are downloaded from the unlocked app version available in the phone once the phone is done with the process. With a changed look, many users stand out from the typically restricted iPhone which at times becomes a hassle as well. Unlocking an iPhone and full access also means that the user can make this phone a personal device. Owning a personalized iPhone is a perfect scenario for many users especially those who are fond of iPhones. Personalization includes changing the ringtone, adding different sounds, changing color schemes, etc. Changing the sounds of the phone allows a user to ensure that he or she knows that the device is ringing or a message has been received. Unlocked iPhones are perfect devices for those who prefer customization and personalization. A complete control means that a person can alter and add anything he or she wishes to in the iPhone. This device is highly restrictive otherwise hence many users prefer to unlock them in order to access important files and the internal software on the iPhone. Another term used for this unlocking system is jail breaking an iPhone which allows the user to access system files very easily and modify software anywhere needed. This kind of control does affect the iPhone device but also provides the user usage-satisfaction where the user’s money does not go to waste. Chris F has spent many years working as a technology and gadgets consultant, author and educator. Along the way, he has written extensively on changes in mobile technology, mobile web and impact of mobile technology. He is also a columnist and writes on technology for many publications, websites including Tcawireless. You can also follow him on Google+.